Home Headlines & News J.B. Holmes No Longer With Cobra? J.B. Holmes No Longer With Cobra? The Tour Spot is back with another Tour news story. It appears as though JB is the next Cobra staffer to make a move. Not sure of the details yet, although it appears to be a done deal as he was removed from the Cobra Golf website. This is the 2nd major loss to an already small stable to begin the 2011 PGA Tour season. Back in July, THP broke the news story that Camilo Villegas had signed a deal with TaylorMade Golf. 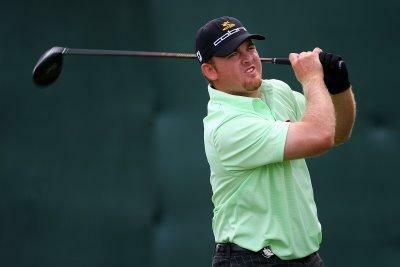 Rumors are circulating that J.B. Holmes is headed to Callaway, but THP has no confirmation of this as of yet. We will have all the updates as they happen in the THP Forum. You can follow this news in our forum right here. Wow, I wonder how long until we hear similar stories about Ian Poulter. It’s never a good sign when David Feherty is the 2nd biggest name on your roster of Tour Staff. Hopefully they bounce back. Cobra needs to act fast before they lose all of their staffers. They put out quality equipment and I hope they can get a few bigger names. I think this is a big loss for Cobra. Not to mention losing Villegas as well. I will be interested to see where he ends up. On the bright side, Cobra may be contacting ol Gray to sign him! Another to jump the Cobra ship? Is it sinking? I didn’t think so. Interesting to see where he ends up. I have used just about every iteration of Cobra drivers and fairway woods and still keep coming back to them after trying numerous Taylor Mades. Yes, I am high handicapper but there is no doubt in my mind that I get better distance from Cobra than TM and my mis-hits are hardly mis-hits…never have been able to say that for Taylor Made starting with the R5 and every other RX since. Don’t go away Cobra, keep up the good work for the once a week golfer. He will be with Cally. done deal!